My hands down favorite part of our recent visit to San Francisco was RIDING IN A TAXI. It’s a little embarrassing to confess that at 32 years of age, I have never ridden in a taxi. I felt like I was on a roller coaster, zipping around on the steepest hills of the country. 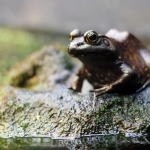 I was completely fascinated and having the time of my life… in a taxi. The taxi driver took note. When we got out of the taxi, the taxi driver told my 6 year old daughter something along the lines of, “I hope you will be as easily excitable as your mom is when you grow up!”. You know what else fills me with excitement? Watching the pink color that appears when I mix lavender tea with lemon juice. This has to be the best way to make pink lemonade. Once the lavender tea is brewed, it looks light brown in color. It certainly does not look purple or pink. 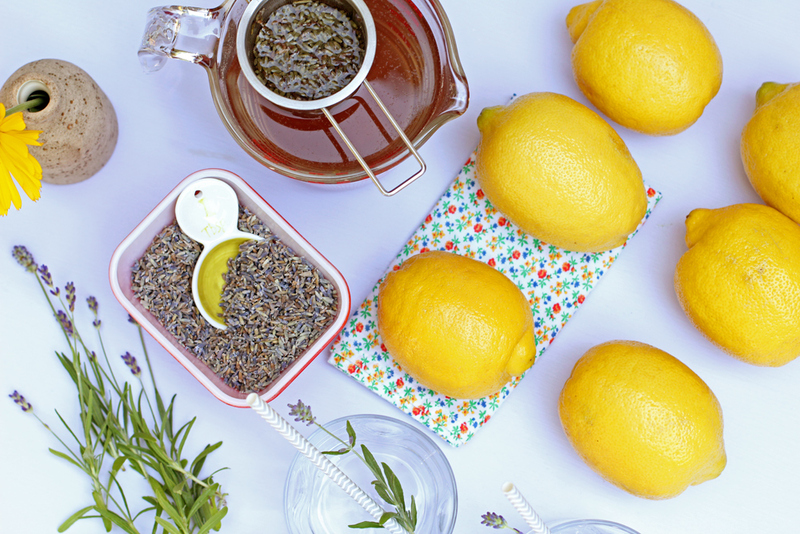 When you combine the lavender tea with the lemon juice, it’s like magic! I was so easily excited by this, I created a video of the combo with my phone. Check it out below! As far as sweetening the lemonade, the entire batch has 20 drops of liquid stevia. To me, the lemonade still tastes sour with that amount of stevia. It will most likely need more. The 20 drops is a base for you to build your “sweeten to taste” on. If I serve this at a party, the 20 drops is undetectable by those who cringe at the stevia taste. So, I would put it out as is, with a little “sweetener bar” of the liquid stevia drops sitting beside an organic sugar bowl and spoon. I won’t judge you if you want to stick some sugar in there. When we drank this, we added a couple drops of stevia per cup — even the Wendy’s Eating Husband! 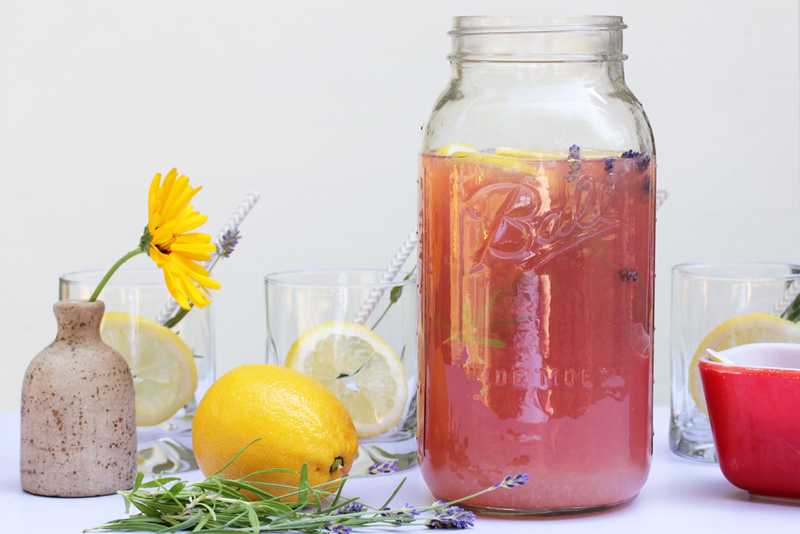 We enjoy our lavender lemonade sweetened with stevia only. Prepare lavender tea using 4 Tbsp dried lavender and 6 cups of boiling water. Steep for 30 minutes before removing the lavender. Juice lemons until you have 1 cup lemon juice. 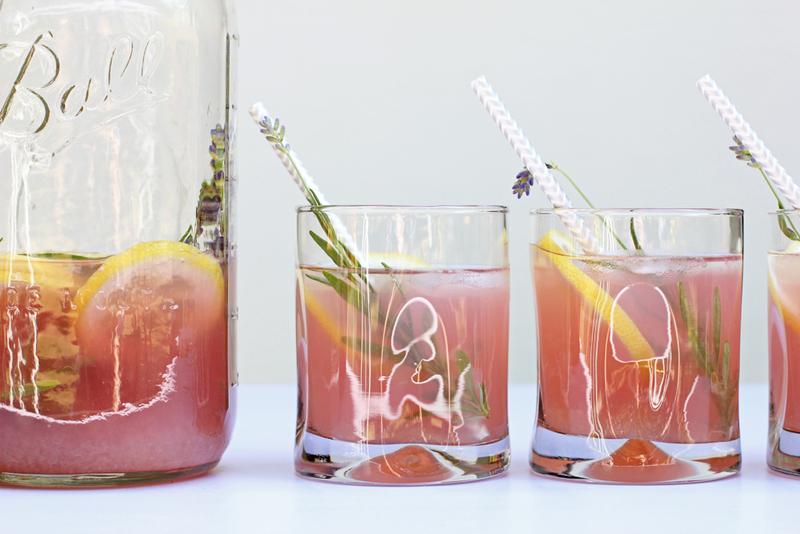 FUN PART – mix lavender tea and lemon juice to make a beautiful pink concoction. Add 20 drops of liquid stevia to set a basic level of sweetness (you can add more per serving later). I heard about you from your mom, Diane.